A long time ago I made one of the best experience that a student can take. I had the opportunity to live and study for one year in Valencia, in Spain. I met a lot of interesting and lovely people and in a while “my new family” was and still is part of me. I knew people from all around the world, with different culture, different tradition and our friendship was growing every day more. With a lot of them I’m still in contact and I love the feeling that every place in the world where I go, I’ll never be alone! This year for her birthday, one of my bestfriend, the one with who I was living there and studying together in Italy, she came back to Valencia to celebrate. 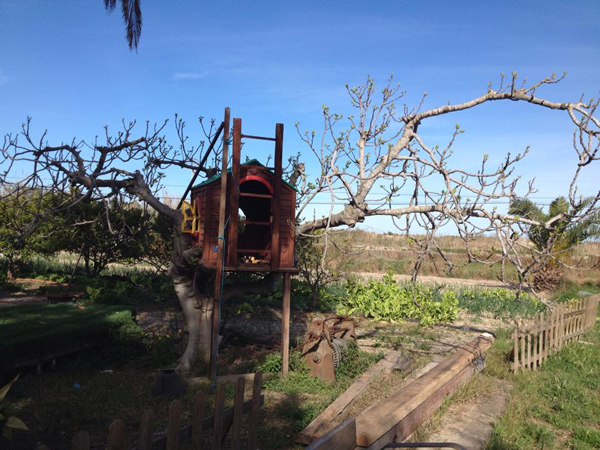 She was chilling around Valencia when in Albufera saw a Treehouse and sent me the picture! I’ll thank her not only for this super nice treehouse’s photo, but also for the wonderful memories that this remind me.